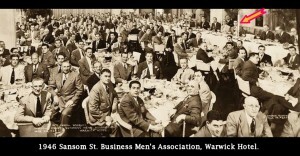 My young father is in the upper right of the photo with the arrow pointing to him. He had just come back to the family business from WWII and was only married in June of 1946. There sure are many more women in the working world of jewelry these days.